Well....I'll show you mine if you show me yours. 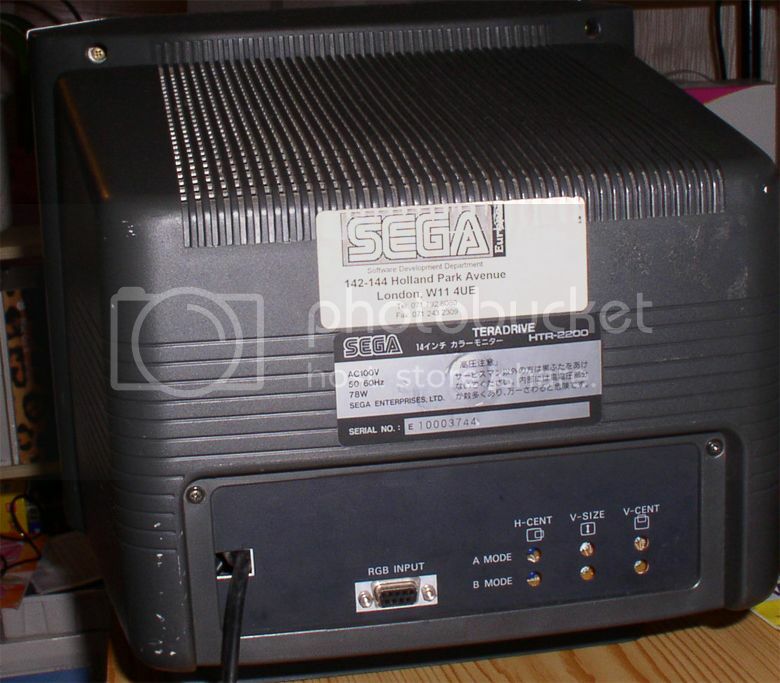 Mine: Model 1 High Def, Sega CD Model 1, 32x, Stereo out the front, full RF Shielding clamped in between them. It happens to be a little dusty in this pic... not normally the case. Edited by travistouchdown, Tue Apr 5, 2016 10:18 AM. 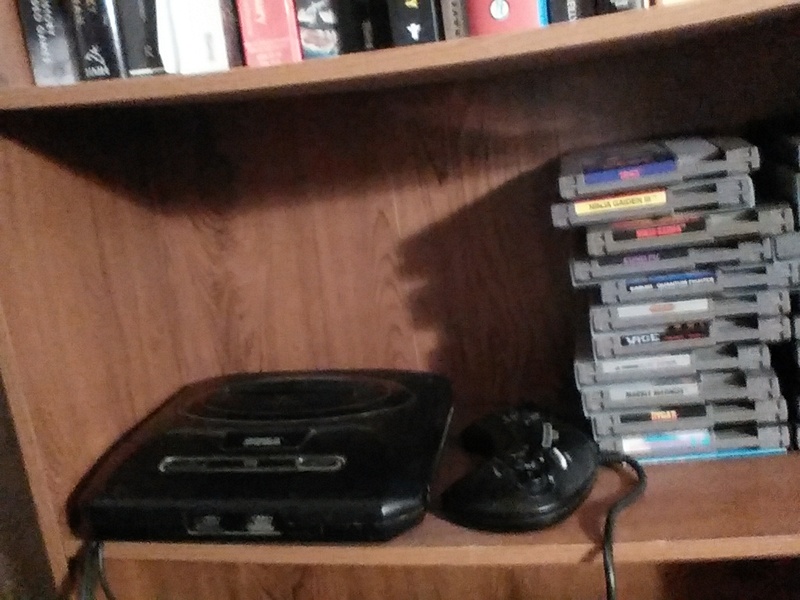 On the shelf without the 32X or the power base converter attached cause it cant fit there otherwise. Or if you like the boxes they are in as well with some other things. Model 2 Genesis, Model 2 CD, the RF shield is present. No mods or anything, and quite frankly the CD probably needs some work- it does that loud grind for a couple seconds on bootup thing sometimes. Also pictured are two of my obitsu dolls, since I took this for that blog. I never could get a good shot, it's not a well lit shelf. Edited by HoshiChiri, Wed Apr 6, 2016 7:29 AM. Genesis model 1 + Sega CD model 2 and my controller of choice, a Power Clutch SG by ASCIIWARE. : ( I really miss my genesis.... It got lost in our move to california. Any good sites you guys typically buy on? I found a pretty good deal on www.best-classic-games.com but am open to suggestions. Edited by J.Ivy, Thu Apr 7, 2016 7:43 PM. Oh wait, you said Genesis. Are you going to do the Cyrstal Clear Audio mod for that VA7 or just leave it as is for the cabinet? Cool project! 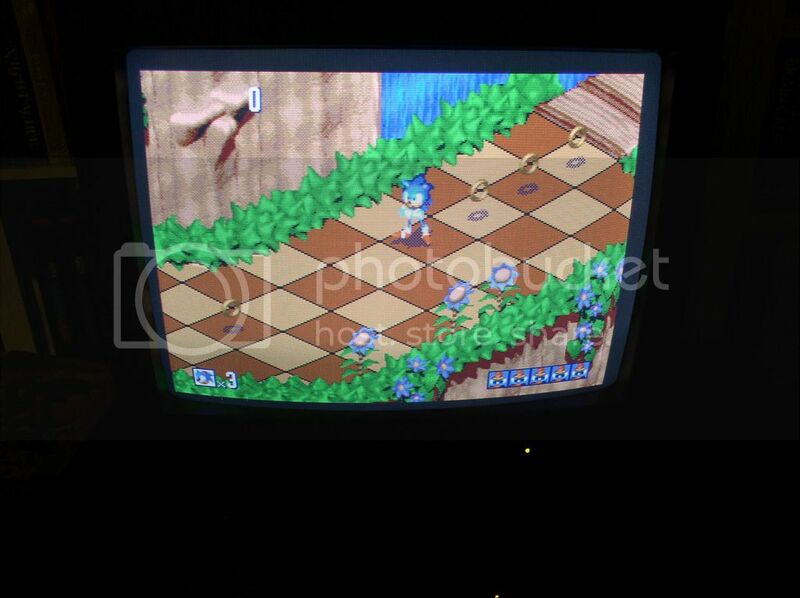 Here's my Genesis/SegaCD. Original owner. It's the Altered Beast version. The Power Base Converter was bought used and gets occasional use. 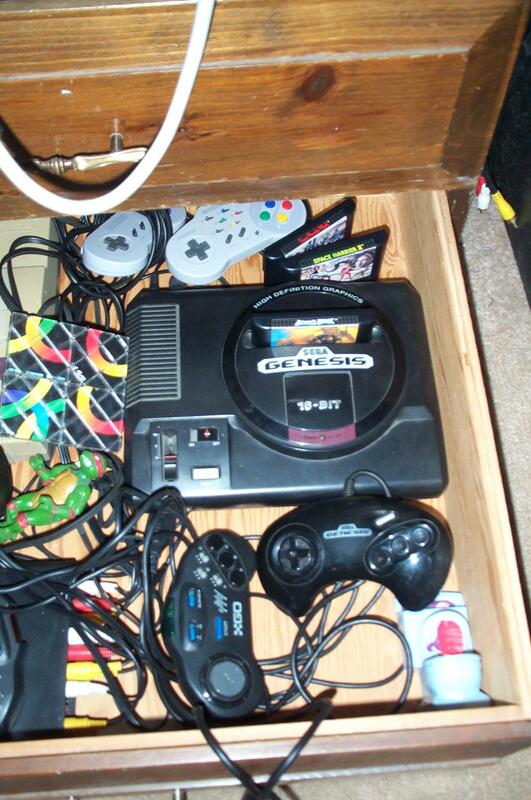 Not shown is my 32X. I put it back in the box when I was thinking about selling it. Just never got it back out again. Edited by high voltage, Sun Apr 10, 2016 1:43 AM. What a cool looking system. I've never seen or heard of this model before! 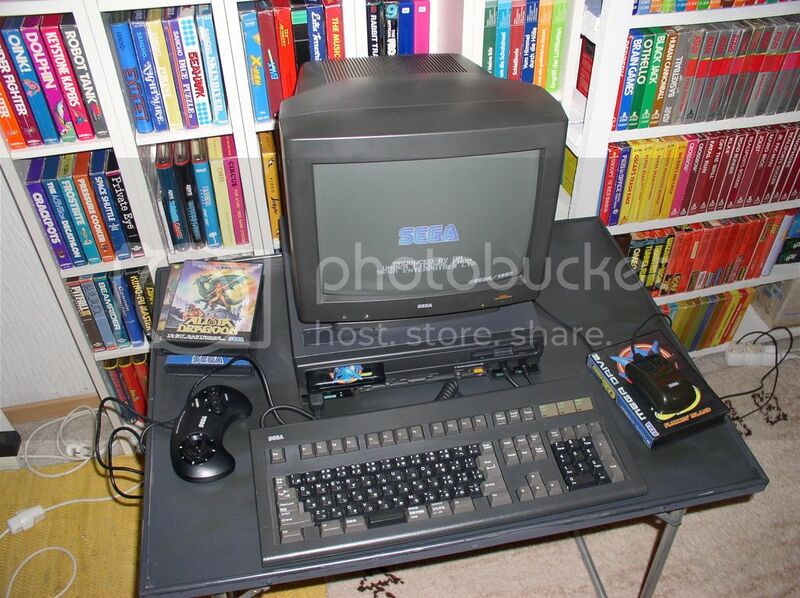 Even better that you have the Sega branded monitor. Interesting that they chose the 286 CPU. 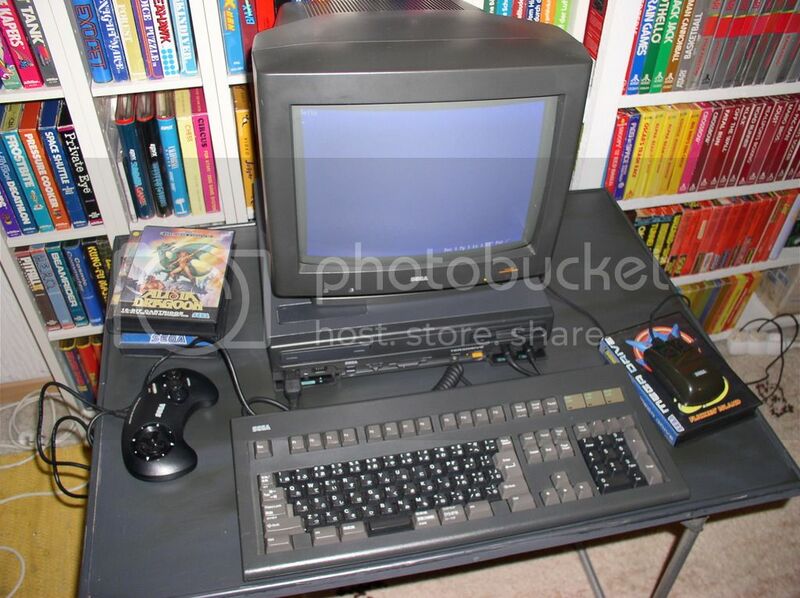 I would bet that the monitor could work well with Atari ST or Amiga computers. 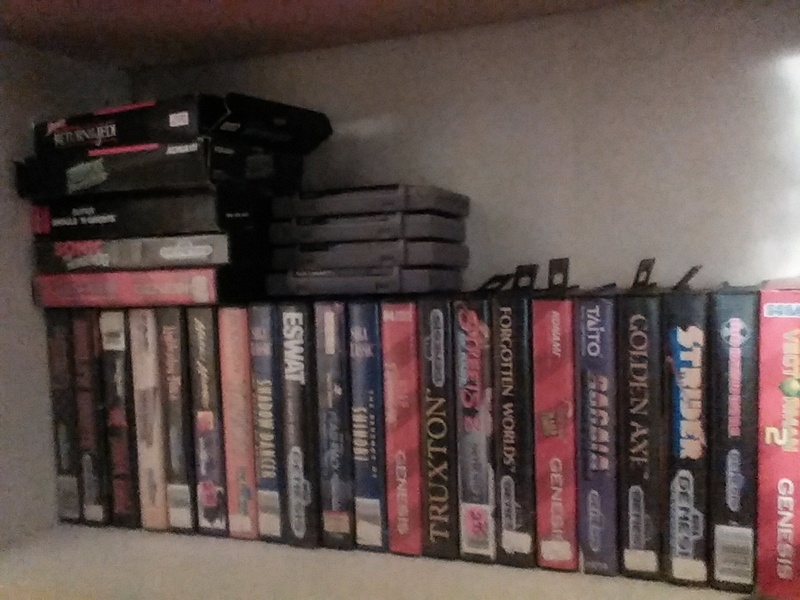 I recently picked up a Genesis and an Everdrive MD. I really enjoy the Japanese Shmups on the system. I also bought a Sega Mega Drive t shirt. The shirt started a nice conversation about consoles. Yes, the crystal clear audio mod is a must for this My plan is to build a street fighter 2 arcade, with the arcade version of the cartridge in it. I think im capable of making my own arcade cabinet and doing the wiring, from the plans ive found online. My "other" Genesis (actually have a model II with Model II CD and 32x in storage as well. This is my daily driver, especially for the save function on Mega ED and Playing Mastersystem ROMS. It's a Model II, 3/4 Motherboard, Variation 4. It looks and sounds Beautiful! What is the rectangular area on the top of the unit? A second cart slot? Here are my Genesii. I have the Majesco one coming in the mail and I'm pretty sure that's the last model I'll ever be able to get. LaserActive, TeraDrive just too expensive for me. You could get a Teradrive- just get a hockey mask, a baseball bat, and High Voltage's address. Was meant for the CD drive. And a boat ticket (or plane). Edited by high voltage, Mon Apr 25, 2016 11:43 AM. ​Ha. I was going to say it was a long way to travel. And $7000 US? Holy hell. Hold on to that one. You'll be able to retire if you ever sell it.